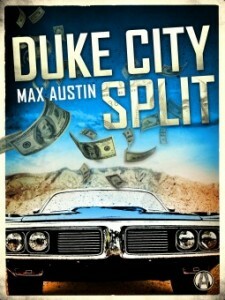 Review: Duke City Split by Max Austin + Giveaway – Escape Reality, Read Fiction! A cool, calm, and collected bank robber—with two kids at home—heads a fascinating cast of characters in Duke City Split, the first in a trilogy of white-knuckle thrillers from Max Austin. Bud Knox isn’t your average bank robber. He’s happiest fixing a nice lunch for his wife on her lunch break or watching his two young daughters play soccer. He leaves the boldness and brawn to his partner, Mick Wyman. In the past fourteen years, they’ve hit nearly thirty banks all over the West—everywhere but “Duke City,” their hometown of Albuquerque, New Mexico. So when Mick calls him about the perfect job, Bud is less than convinced, because the target is on their own turf. But with the potential to haul in millions, Bud simply can’t say no. If they do this job right, Bud may never have to work again. As it turns out, the heist is the easy part. Holding onto the money while evading everyone from the FBI to the Mafia to the low-life criminals who want a cut will be the hardest thing Bud Knox has ever done—and it might just cost him his life. One could quickly summarize Duke City Split as “Murphy was an optimist”. 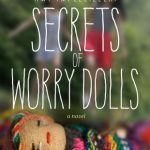 It’s not just that everything that can go wrong does go wrong in this caper thriller, but even everything that can’t go wrong or shouldn’t go wrong, absolutely does, and with deadly results. Perhaps the moral of the story is that there is no such thing as “the perfect job”, of course, this is true in real life too, not just in fiction. Duke City Split is about a pair of bank robbers. Mick and Bud try very hard not to be exciting bank robbers, for Bud especially, robbing banks is just his job. And they are very good at it; the pair have robbed 30 banks in 14 years. It’s a good living, as long as you stay out of trouble. Or out of any more trouble than you’re already in. And that’s where they go wrong. Mick and Bud have a system for robbing those banks. A system that starts with not robbing any bank in their home territory of Albuquerque. Then some kid comes to Mick with the idea to rob the bank where the armored car from the nearby Indian casino deposits its weekend take. It’s supposed to be $3 Million worth of easy pickings. The bank is a little tiny suburban outpost in a strip mall, with only one usually sleepy guard. Bud ignores the little voice in his head that says if something is too good to be true, it usually is, and focuses on the big score. His share of that loot will finally allow him to retire from his life of crime; something he’s always promised his wife. They’ll be set for life, including college funds for both daughters. Yes, we have a bank robber who is a devoted family guy. Bud’s the careful planner in the partnership. Mick is the badass. It works for them, up until now. The kid with the idea wants in on the heist, and that’s where everything starts to go pear-shaped. The FBI riles up the wrong pair of bank robbers, so suddenly there are two low-lifes cutting their way through the underside of Albuquerque to find the real thieves who have the real score stashed away. The bank guard decides he’d rather blackmail the kid instead of being a hero with the cops. And the casino’s silent partners decide to send someone from Chicago to make sure that no one ever thinks they can rip off the Mob, even in secret. Even if it is the bank’s fault. Everyone is after Mick and Bud, wanting the money, a piece of their hides, or both. All because they tried to go for one last big score. Now instead of counting money, they’re counting bodies–and theirs might be next. Escape Rating B: Duke City Split reminds me a bit of Donald Westlake’s Dortmunder books. Although Mick and Bud have had a very good run, in Duke City Split things go nothing but wrong, and there’s frequently a sense of underlying gallows humor as the situation goes from bad, to worse, to cosmically worse every minute. If their luck had been half this bad earlier in their thieving careers, they’d be in the slammer for life. Instead, everyone who might possibly lead to their shadowy real selves gets dead, and not necessarily by our two unlucky robbers. The coincidences that cause everyone to be after them, but not be aware of any of their fellow pursuers, make it seem like all their bad karma has come calling, all at the same time. The two men make an interesting contrast, and not just because Mick is big and tall, and Bud is short and mousy. Mick is the adrenaline junkie who makes things happen, and Bud is the quiet family man who sits back and plans every detail. The irony is that Bud got into bank robbing so that he could be his own boss. In the end, circumstances are the boss of both of them. 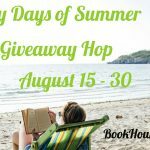 This tour includes a Rafflecopter giveaway for a Grand Prize of a $30 egiftcard to the ebook retailer of the winner’s choice, and a First Prize Mystery Prize Pack of mystery paperbacks from Random House: The Alpine Xanadu, Dying for Chocolate and A Bat in the Belfry! Thanks so much for the great write-up! DUKE CITY SPLIT was a lot of fun to write. 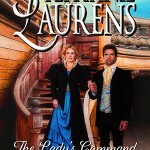 Watch for more crime novels coming soon from Duke City. “The irony is that Bud got into bank robbing so that he could be his own boss.” Ha! Now that is certainly an unusual reason for taking up robbery in my opinion. Too funny! Thank for being a part of the tour. I’m glad you enjoyed the book!